Eva and Gijsbert booked a couple’s shoot with us, but with a twist. Gijsbert had planned a surprise proposal for his longtime girlfriend. At first we went to Pran Buri Forest Park where Eva and Gijsbert could stroll through the mangrove forest for some lovely photos. We then went to Sai Noi beach, where we took more photos. One of which was one a large boulder at the end of the beach. 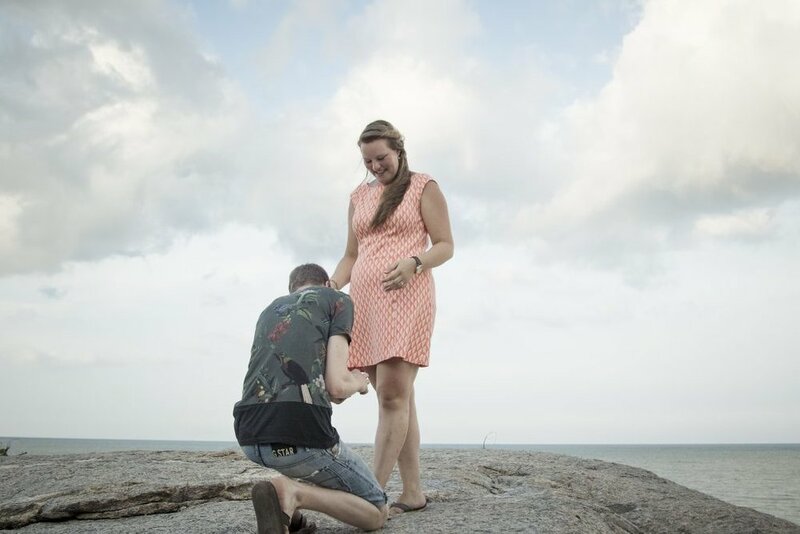 After walking through the path and up the rock, Gisjbert knew it was the perfect time to ask the big question; and of course Eva said yes. The lovely couple were very photogenic as you can see by the photos. Congratulations Eva and Gisjbert. If you are interested in our couple photography or any of our services, don't hesitate to contact us, or call us at +66 (0) 81 763 8096.